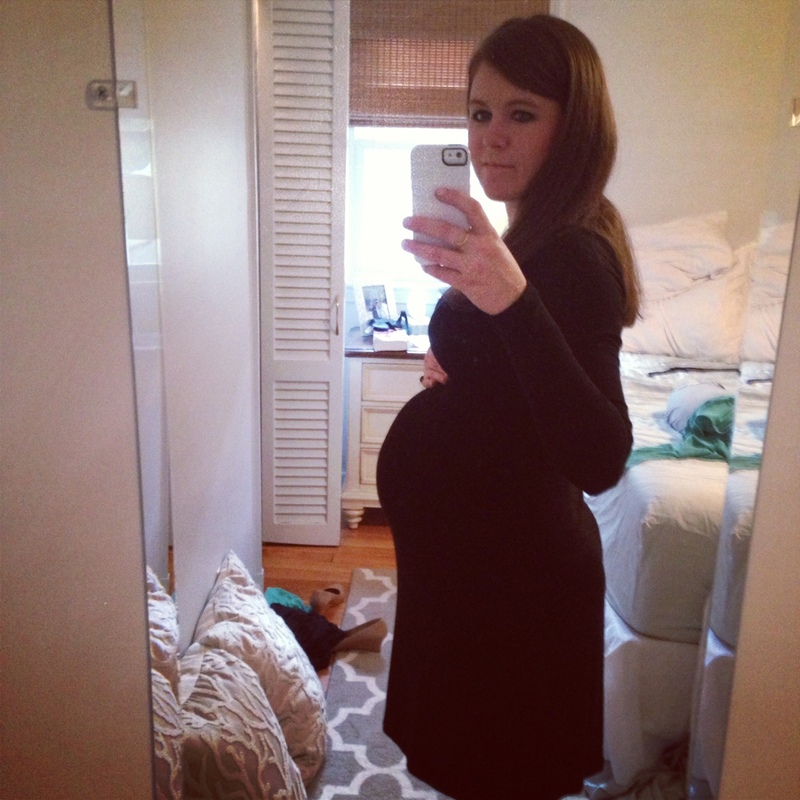 Turns out I am not such a good blogger while I am pregnant and trying to get settled into our new house. Seems like all my weeknights and weekends have been filled with baby errands/projects and house projects … which has left very little time for blogging. As Danny and I are getting closer to meeting our little one, I am trying to slow down some. The other weekend Danny made a comment that he missed my blogging and it got me thinking I should try to get back to it. I started looking through all my old posts and realized how much I miss blogging and posting about my healthy meals/ lifestyle. So here I am, trying to get back into it before baby Sheridan makes his/her debut. I am sure it will be hard to keep up when the baby gets here in +/- 7 weeks, but if I could keep up one post a week, I would be very happy! From my initial post announcing that we were expecting a baby, you may recall I was having a horribly hard time sticking to my usual healthy habits due to the lovely “morning sickness” and food aversions that I was graced with during my first trimester. The only thing that made me feel better were carbs, and not the good kind of carbs. I was contemplating changing my blog to “Finding Your Unhealthy Hell.” Ok that may be a little dramatic, but I just wasn’t used to eating like that and it zapped my energy level too. By the end of the first trimester I began to feel better and could finally incorporate my once loved veggies back into my diet. 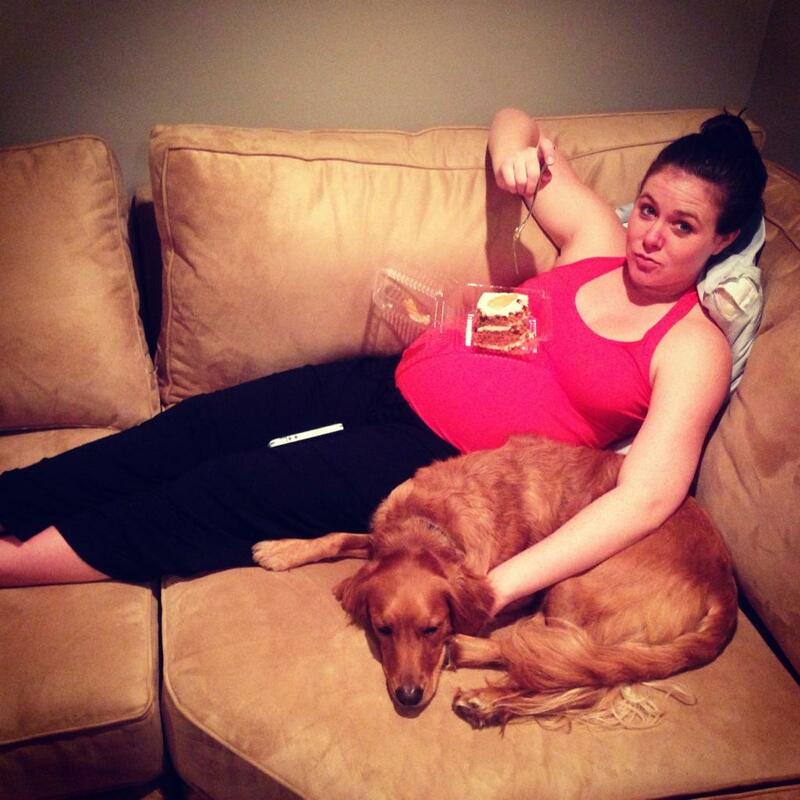 You hear people say that the 2nd trimester is the “honeymoon phase” and boy are they right. Around 14 weeks my energy soared and my nausea and food aversions were gone. Hello weekly work outs and daily salads! I felt so much more like myself being able to incorporate these things back into my life. I was eating a well balanced diet and making sure I exercised 4 to 5 times a week. 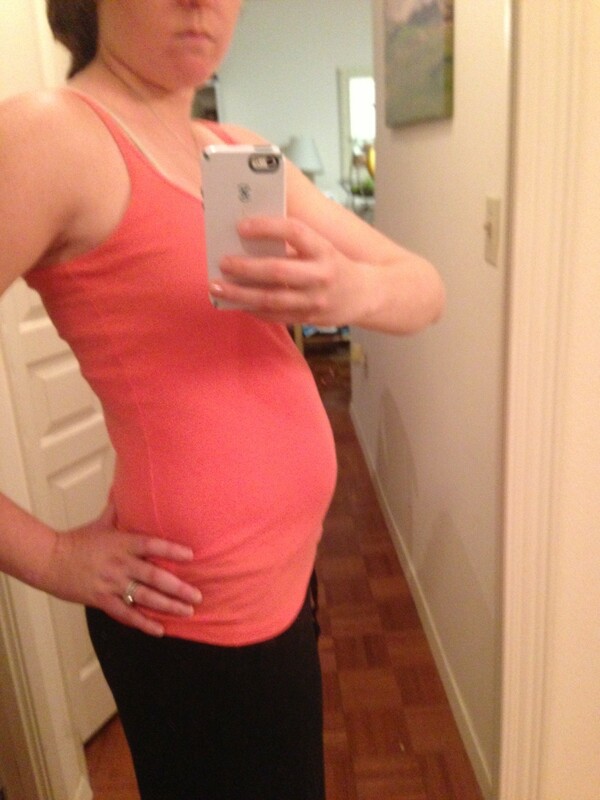 It felt great and the initial 11 lbs ( yes you read that correctly) I gained in my first trimester came to halt. Our little babe was continuing to grow but drawing on the weight I had already gained. It felt good not to see the scale soar every time I went to the doctor and my doctor assured me this was perfectly normal. Some people gain a lot up front and then maintain for a while until they slowly start to gain the rest of their pregnancy weight. While others don’t gain much until the end. My weekly workouts have consisted of a bunch of pregnancy DVD work outs and long fast walks around my neighborhood. We decided to give up our gym membership since it was too far from where we live now and the ones near us aren’t all that great. That was hard to adjust to because I miss having a good sweaty cardio work out on the elliptical. 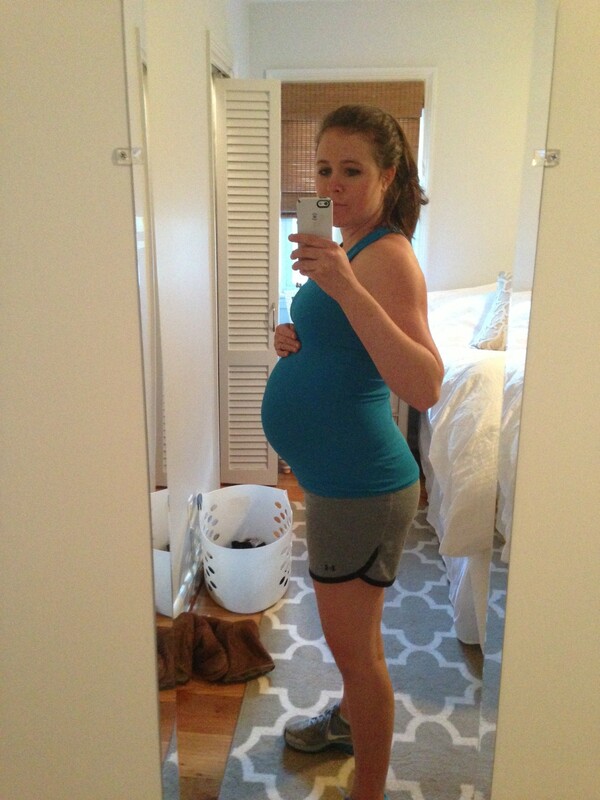 I stopped running when I was 8 weeks prego because I was just too nervous something bad could happen. I miss running soooo much and can’t wait to get back into it after baby. I also have been craaaaving Zengo so badly and can’t wait to get back on the bike. For now I will settle for my power walks and DVDs. For DVDs I have been religious about doing the Tracy Anderson Pregnancy Project. She provides you with a different DVD for every month of your pregnancy and gears it to where you are in your pregnancy. I have to admit her tiny movements burn so good and have saved my booty and arms from becoming a pile of mush. It really is a challenging workout and something you can maintain throughout each trimester of your pregnancy. I have also really enjoyed this Long and Lean routine that incorporates Yoga and Pilates to keep you flexible and toned during pregnancy. 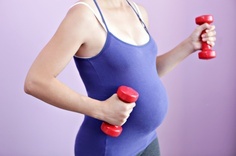 For a more upbeat routine that will get your heart pumping I do Erin O’Brien Prenatal Fitness Fix. Warning: this DVD is totally cheesy and I wanted to turn it off when I started, but it makes you sweat and you will feel the burn. Finally, I also incorporate prenatal yoga into my weekly routine to keep me mentally and physically strong. 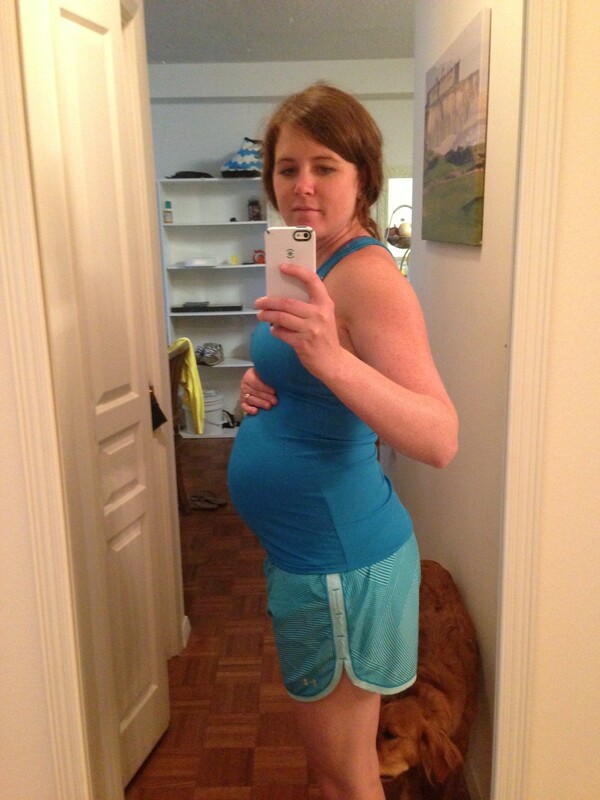 Now that I am in the home stretch and in the third trimester I have to say my energy has taken a dip. This past week has been especially tough because I have been feeling really fatigued and it has been hard to find the motivation to work out. However, I know I will always feel better when I do something active, even if it is just a 30 minute walk with our pup. I also have found that I now get extremely full very quickly, even after eating just a little bit. The baby is growing so much now and pushing up on my stomach which makes eating a meal challenging at times. It is during this trimester that our little babe will put on the most weight and nearly double in size, craaaazy to think about. 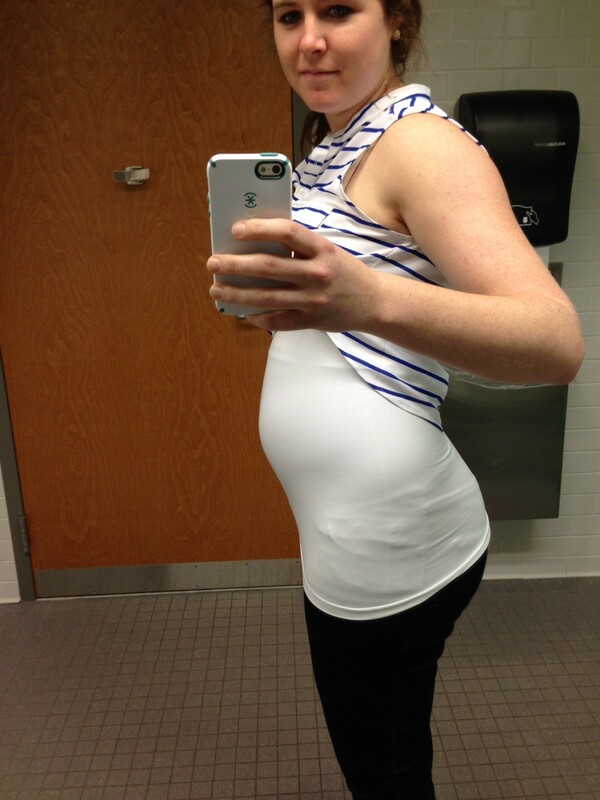 I am at a 24 lb weight gain right now with 7 weeks left to go. 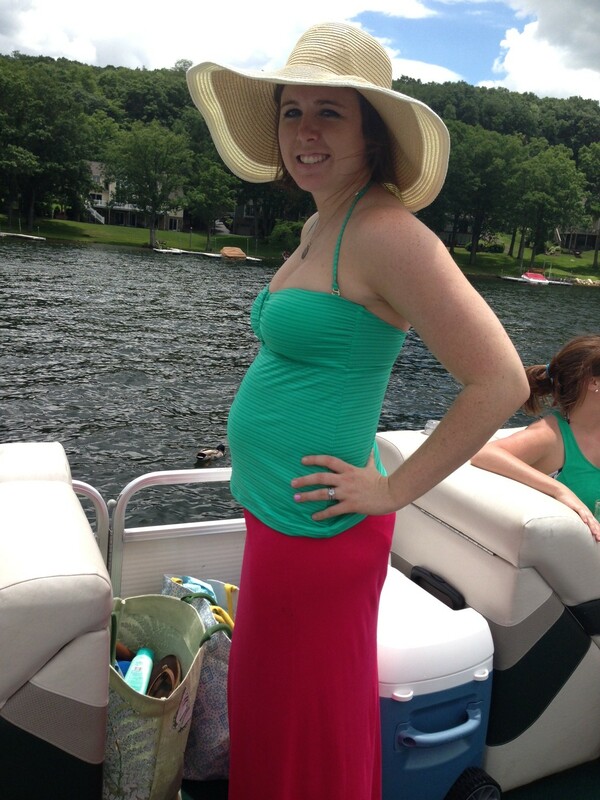 The doctor says to expect to gain another 8 lbs before the baby gets here, which I am OK with. My hope was not to gain more than 35 – 40 lbs, so I think I have done a pretty good job keeping that under control. I have my weekly workouts and healthy eating to thank for that. Don’t worry I definitely indulge when I get a craving too, but I try to keep it all in perspective. I know that all the weight I put on I will eventually have to get off and I try to keep in mind that I should be eating a healthy balanced diet not just for myself, but for the baby as well. So now that I am done ranting about my prego experience so far, I want to share with you this article I came across that reinforced my belief that you shouldn’t just “let yourself go” because you’re pregnant. Pregnancy is one of the most crucial times to have your health in mind because it directly affects your baby. This article says it all. So if you are pregnant or trying to get pregnant, listen to what your body needs but try to maintain a healthy lifestyle in the meantime. It should make recovery much easier and you will feel better about yourself throughout your pregnancy. Now for a little picture update. Since I haven’t been keeping up with my blogging, here is a bunch of selfies I would send my friend, Jul, to keep her updated on my bump watch. Crazy to look back at where I started. 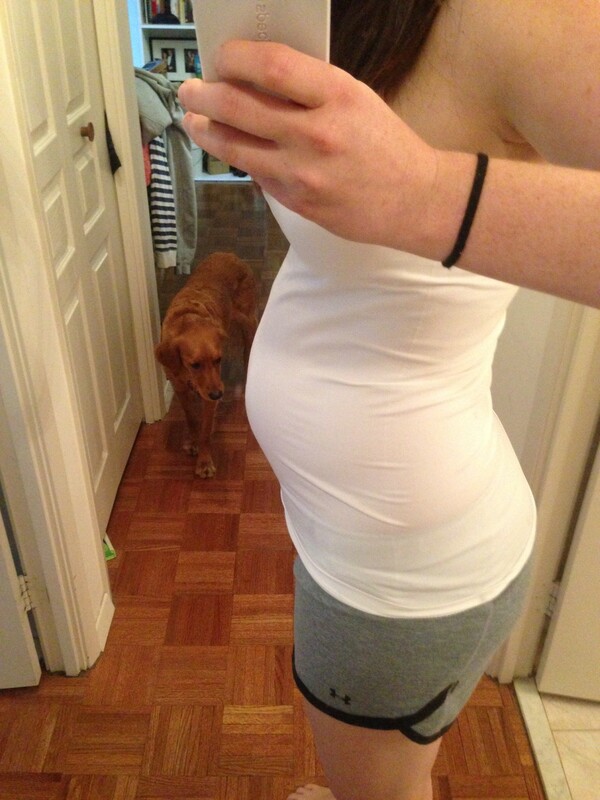 My bump makes a great shelf for carrot cake! Like I said, everything in moderation … the baby wanted carrot cake! This entry was posted in Lifestyle, Uncategorized and tagged healthy pregnancy, pregnancy workouts by find your healthy haven. Bookmark the permalink. 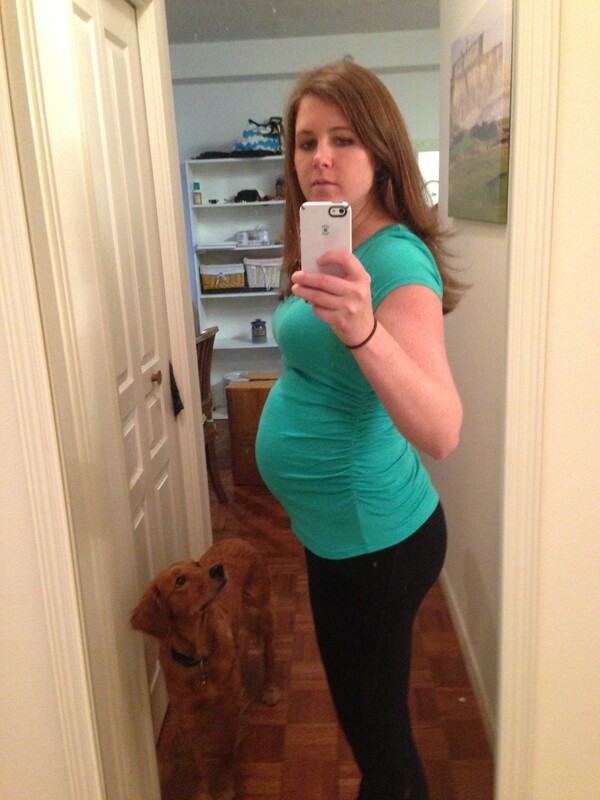 I love that you gave an honest look at what pregnancy looks like for a healthy mama. It’s not all workouts and salads and its not all milkshakes and loafing. 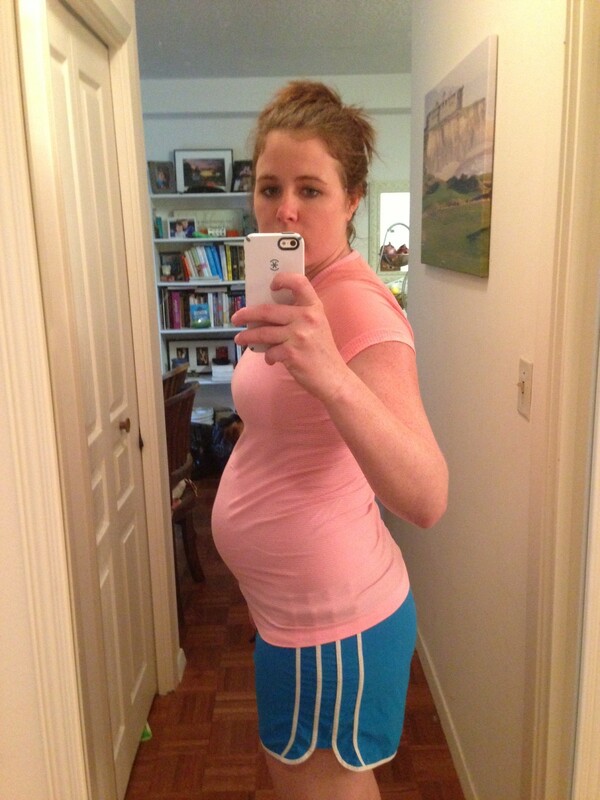 I look forward to seeing how things progress in your pregnancy and with the new baby! youre so adorbs – keep up the good work! You are looking great!! Can’t wait to meet the newest baby!! Love you guys!